It was a big weekend for HEXTA – the debut of the new HEXTA-002 at Belmont on Saturday, and the Gosford OPM using HEXTA-001 targets on Sunday! 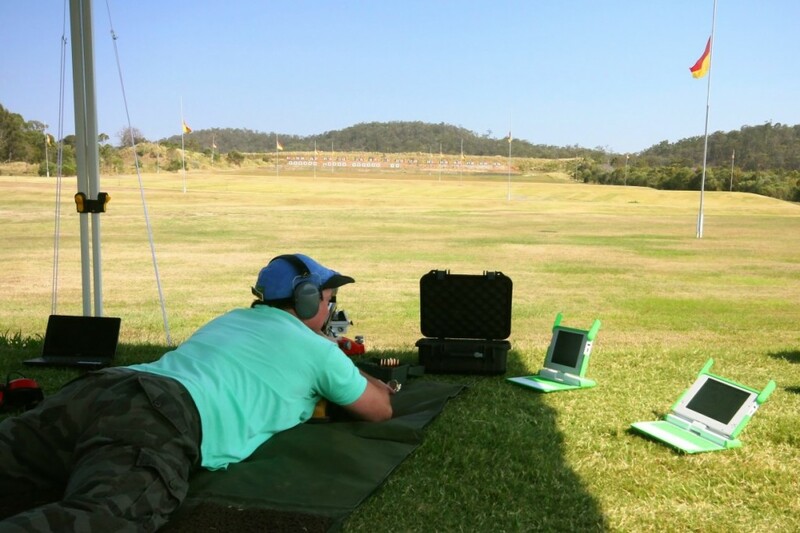 We are pleased to report that the first public demonstration of the new HEXTA-002 system was held at Belmont on Saturday 20th October 2012, at the invitation of the Queensland Rifle Association. The two HEXTA-002 fully wireless targets took about 90 minutes to install on the morning of the demonstration, and were ready to roll at 11 am. The system worked perfectly all day, and many local club members had a chance to shoot on the system. The response was overwhelmingly positive from those who saw and tried the system. One shooter couldn’t get enough, and spent about 45 minutes on the mound unloading all his ammunition! *Please ensure that your browser has java script enabled. HEX Systems would like to thank the Queensland Rifle Association for their generosity in allowing us to use their superb facility, accommodating us in such comfort and giving us the opportunity to spread the word on HEXTA in Queensland! On Sunday 21st October 2012 Gosford Rifle Club held its Open Prize Meeting using five HEXTA-001 targets. This was the first time that an Open Prize Meeting has been held using HEXTA targets. The day was a great success, there were many visitors in a field of 63, and lots of positive things were said about the HEXTA targets. Mark Buchanan from Roseville RC came away with the prize on the day. A large TV in the club house was connected to the system, displaying the target images live during the competition. Additionally, a new system of preregistration of entries was used, so that all entrants were registered in the HEXTA database before shooting started.